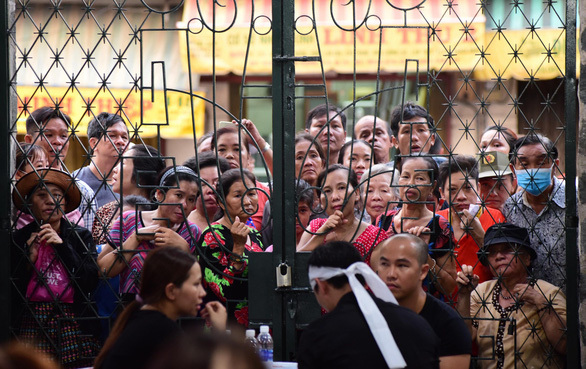 The solemn atmosphere at the funeral of a Vietnamese comedian who was found dead during his tour of the U.S. earlier this month was interrupted by several people live-streaming the event on social media. 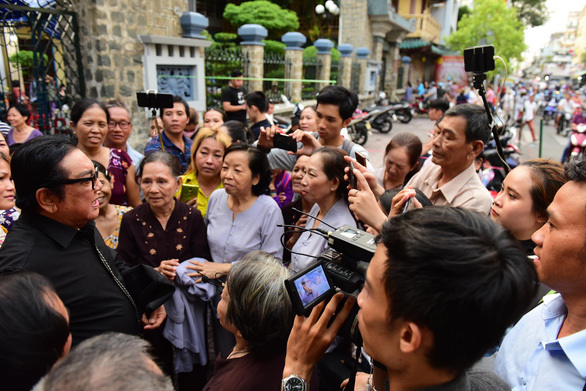 Anh Vu, a famous comedian who devoted his life to the national comedy industry, passed away at the age of 47 in California on April 1, with his body repatriated to Vietnam for burial procedures on Tuesday. 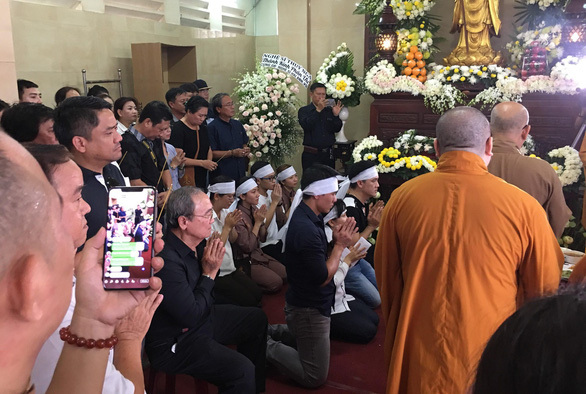 At his funeral, held at An Quang Pagoda in Ho Chi Minh City on Wednesday, family, friends, colleagues and supporters were attempting to mourn the comedian while dozens of people flocked to the temple to take photos and share live videos on social networks. 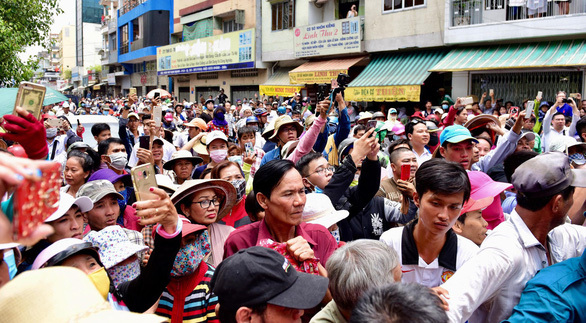 Ngoc Vy, charged with organizing the funeral, said that the pagoda had been crowded with people trying to take photos since Anh Vu’s body arrived. 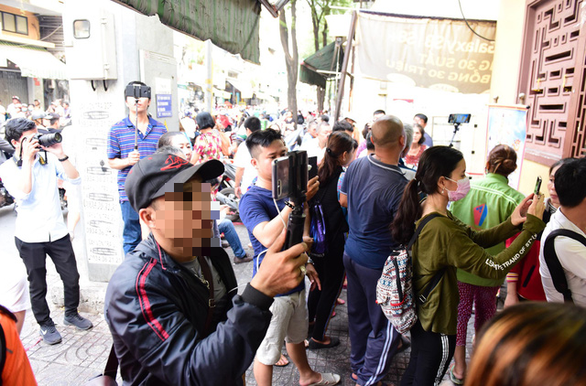 “They rushed in and disturbed Vu’s family and other celebrity guests even before the visit time, frustrating everyone and adding confusion to the situation," she said. 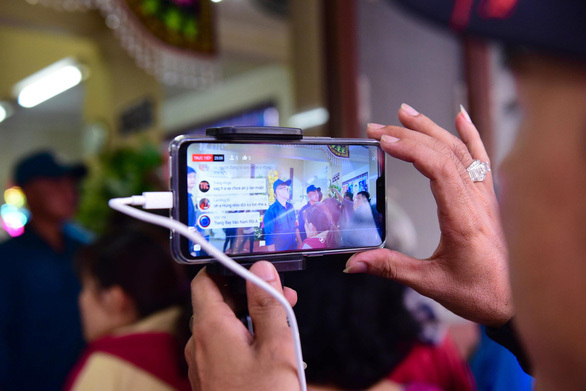 These people might live-stream the funeral to seek public attention, but those who own Facebook pages or YouTube channels with a large audience base may also monetize the broadcasts thanks to ad revenues generated by these platforms. Live-streams are videos broadcast live on social networks. It is widely used as a convenient tool for people to watch football matches, talks, and other events using their mobile phones. However, it is not uncommon to see the technology being abused in such cases as live-streaming movies in cinemas or at formal events.